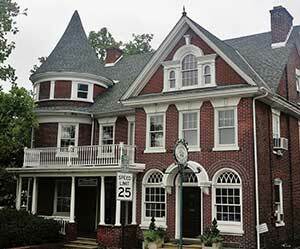 The Central Bucks Chamber of Commerce will host its Annual Excellence in Design Walking Tour in Perkasie on Sunday, September 25, 2016. On the three hour tour of the town's historic sites and homes, attendees will be able to learn about the factors that have allowed this town to keep its unique identity. The tour starts at Perkasie Borough Hall at 1 pm, 620 W. Chestnut St., Perkasie. Self-driving tour afterwards starts from Shelly’s parking lot. Tours of Perkasie Park will be available at 3:15 pm. Reception at 4pm. Catered by Down to Earth Cafe & The Bread Box and Bakery. Sponsored by J.G. Petrucci Co., Inc.
Tickets: $15 each. For more information please contact the Chamber at 215-348-3913.